8-bottle capacity Provides compact storage for your favorite wines. Touch-screen controls and LCD Allow easy temperature adjustment. Thermoelectric technology Maintains an even temperature throughout the interior. Removable shelves Let you customize your display. Flat glass door Showcases your collection. 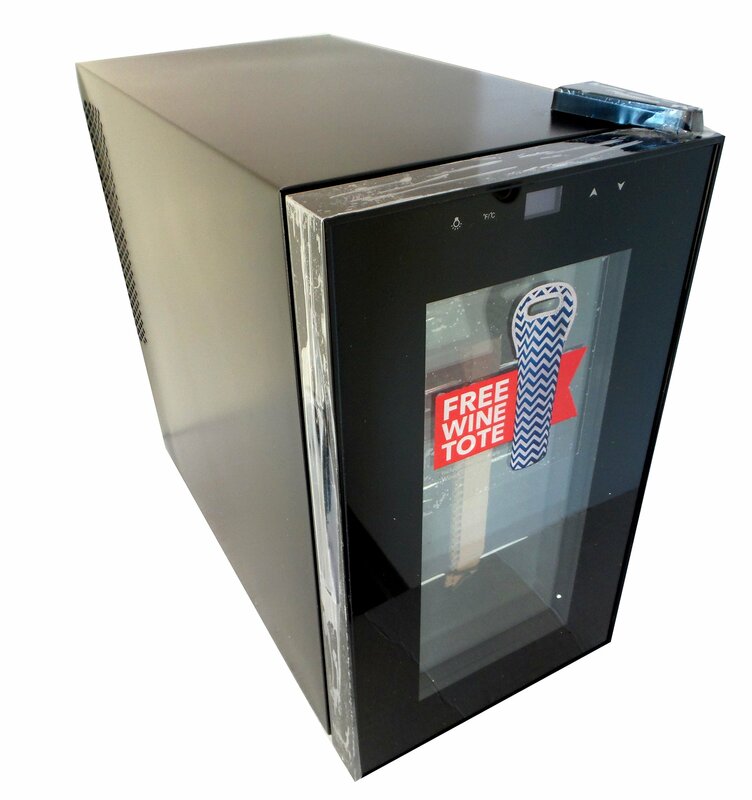 Chill your wine collection in this Insignia 8-bottle wine cooler, whichfeatures touch-screen controls and thermoelectric technology to keep your wineat the ideal temperature. The soft interior lighting helps display bottlesthrough the glass door.